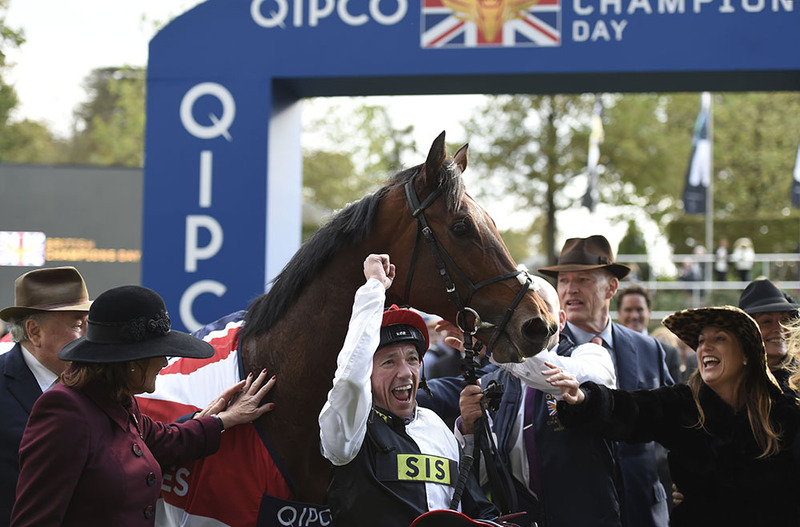 Superstars Cracksman and Roaring Lion are among a glittering cast of 75 horses who will contest the eighth running of QIPCO British Champions Day at Ascot on Saturday. Stable companions at John Gosden’s Clarehaven Stables, Cracksman and Roaring Lion will not meet on the track after the latter was declared for the Group 1 QIPCO Queen Elizabeth II Stakes due to the prevailing soft ground. Roaring Lion will face off against the Karl Burke-trained filly Laurens, bidding for her sixth top-level triumph, and French raider Recoletos, who was last seen winning the Group 1 Prix du Moulin last month. Cracksman, whose stunning seven-length success in last year’s QIPCO Champion Stakes evoked memories of his great sire Frankel, will face seven rivals including Crystal Ocean and Capri in the £1.3 million showpiece. Lord and Lady Lloyd-Webber will be hoping to add to an already successful couple of weeks with Lah Ti Dar, the sister to their Group 1 Dewhurst Stakes hero Too Darn Hot, when she lines up in a field of 11 for the Group 1 QIPCO British Champions Fillies and Mares Stakes. Outstanding stayer Stradivarius, who earned the £1 million bonus offered by Weatherbys Hamilton when taking the Group 2 Lonsdale Cup at York in August, heads seven runners in the Group 2 QIPCO British Champions Long Distance Cup, which could set the seal on another trainers’ championship for Gosden. Gosden said: “QIPCO British Champions Day is a wonderfully exciting day’s racing. “It’s the grand finale to the season in Europe, let alone in England and Ireland. It’s fabulous racing and has got everything. The two previous winners of the Group 1 QIPCO British Champions Sprint Stakes, Librisa Breeze and The Tin Man, will face 12 rivals as they bid for a repeat success in the six-furlong contest. Completing Saturday’s card is the £250,000 Balmoral Handicap, the richest mile handicap in Europe, which has drawn a maximum field of 20.